Used to be a NYC corporate lawyer. Became a poker writer. Now work on the industry side of poker. 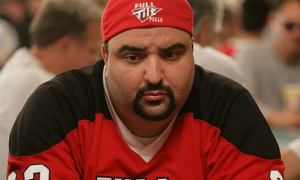 The following feature is an accumulation of interviews–told in an “oral history” format–by people who know Full Tilt Poker CEO Ray Bitar. While we had to conceal the identities of the individuals in this story in order to get them to agree to talk, these are their real stories, and are transcribed from their own words.